Recently McDonald’s made it’s Wi-Fi Internet service available free in around 12,000 locations in the United States. This trend is has been growing over the last few years, and now Starbucks has decided to go in on the deal in its locations in the United States and Canada. Starbucks hopes to encourage patrons to stay longer and purchase more products through offering free Wi-Fi. Over the last year coffee sales have been way down as the economy has driven consumers to make their own drinks at home. As a result Starbucks has had to close down a large number of its smaller stores. 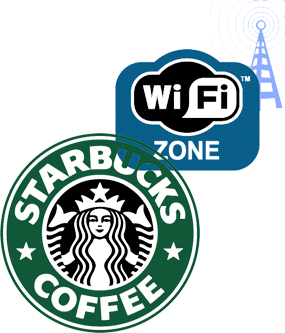 The free Wi-Fi service at Starbucks is welcome to customers who utilize various venues to operate their own ventures. Those who just want to visit for coffee and socializing are concerned they may not have a place to sit as tables are taken for long periods of time. Many coffee shops already offer free Wi-Fi, including Borders, Tulley’s, and various locally owned businesses. While there may be less seats available in certain locations, the company could increase its product sales and keep customers coming back for more. It doesn’t look like free Wi-Fi will be going out of style anytime soon. This summer coffee drinkers who love the Starbucks VIA instant coffee blends will now be able to enjoy their drinks on ice. The Starbucks VIA Instant Iced Coffee is a premium medium roast blend made from Arabica beans, with the same robust flavor of drip coffee. If you like your coffee sweet, then you will also enjoy the added sugar of 22 grams, which makes the drink around 100 calories per cup. The quick dissolve granules are easy to prepare with a blend of milk, soy milk or water. The grounds are full throttle, with the usual caffeine in the mix. A decaf version has not yet been made available. The new Starbucks VIA Instant Iced Coffee is available in box of five packs with each stick created to blend into a standard water bottle. The cost for these sets are around $5.95 each and right now Starbucks is offering the product at $1.00 off through a coupon on its website. Members of Costco may also obtain a free sample stick directly from the Costco website. 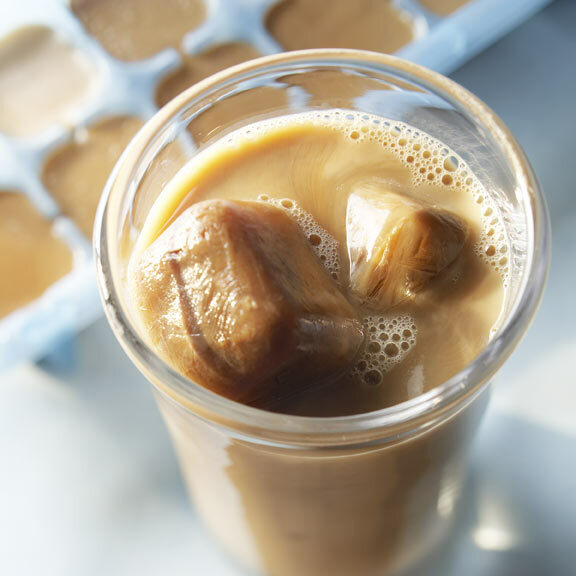 The Starbucks VIA Instant Iced Coffee will be sure to please those who love sweet iced coffee with the full Arabica bean flavor. Espresso Con Pana is an Italian original now popular in the U.S.
Espresso by itself is a dark, robust blend of coffee bean perfection. The drink that put Italy on the map has been transformed by some of the top coffee sellers in the world into many different varieties. But one such blend is just as well known as espresso by itself, and that is espresso con panna. The Italian drink is translated as, “espresso with cream“. After the espresso is created through high pressured hot water then sweet homemade whipped cream is added. And of course if you do not want the added sugar then the cream by itself is just enough to take the bite out of the dark coffee taste. 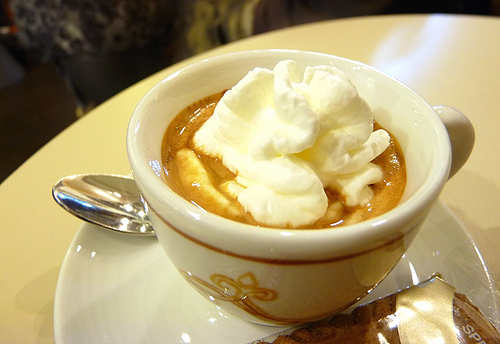 The espresso con panna is a favorite in the United States. In fact, Starbucks has it on the menu, which can be made with one, two or three shots. Because of it’s bitter taste this drink may not be for everyone, especially if you enjoy tasting less of the coffee and more of the filler. But for the robust taste buds this drink is a creamy delight and very simple to make. About sixty percent of Starbucks customers purchase flavored coffee drinks, which has spurred the company to take action and begin packaging flavored coffee in grocery stores beginning this June, just in time for summer iced coffee fun. 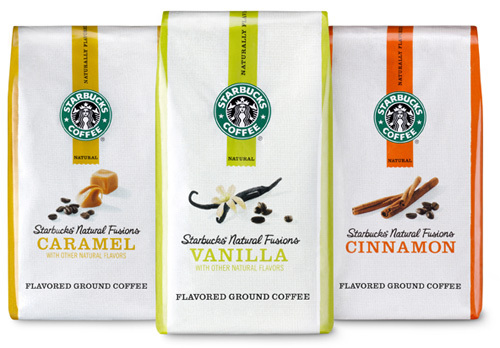 The new flavors are quite familiar to current Starbucks drinkers: caramel, cinnamon, and vanilla. Any other flavors have not been added to the list, but this is a good start since the Japanese have been enjoying powdered coffee called Via since last April with record sales. The United States version will be ground, not powdered, and called Natural Fusions. 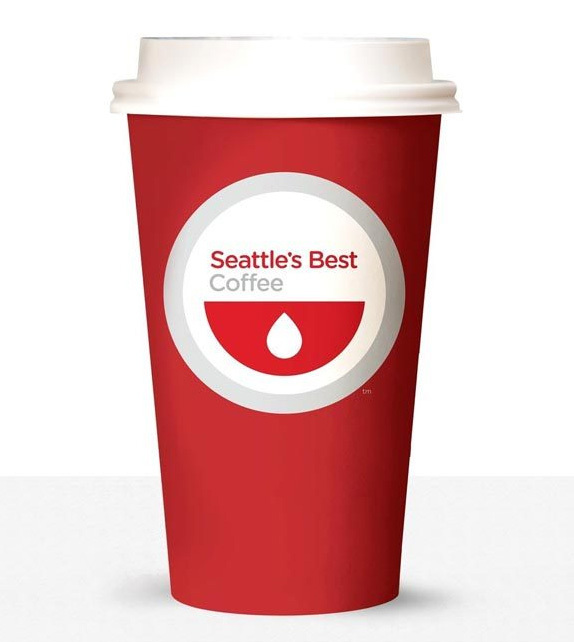 Packages will be sold in $8.99 11-ounce sizes, which is a standard ground coffee bag choice. The Starbucks quality with this new line of coffee will remain in tact. All three flavors will be derived from natural sources and without the use of chemicals or spray on artificial flavors, which is found in many other flavored coffees. Just how many stores will be carrying this new line of coffee will be up to Starbucks, which currently plans to promote the Starbucks Natural Fusions in around 200,000 grocery stores in the United States. The company expects sales to be high, which may prove to be a bigger sell than its instant coffee line.